Professor Warren Lenney has recently taken up a part-time post as paediatric advisor in the GlaxoSmithKline Global Respiratory Medical Expert Team. He is internationally renowned as a respiratory paediatrician; he has lectured extensively throughout the world and has been at the forefront of paediatric respiratory research for 40 years. He has twice been the Chair of the British Paediatric Respiratory Society and was responsible for it joining with the British Thoracic Society in the 1990s. Warren was the Founding Editor-in-Chief of Paediatric Respiratory Reviews, a journal which remains the only one devoted exclusively to the care of the child with respiratory disease. 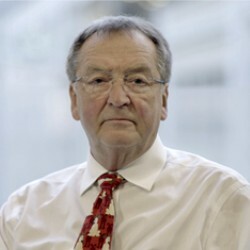 He was a Trustee of the British Lung Foundation for many years as well as its Vice Chair and was also the Chair of the Paediatric Formulary Committee which over-saw the progress and production of the British National Formulary for Children from 2009 to 2015.